Add a little sunshine to your day with this beautiful Thomas Sabo Sun Ring. 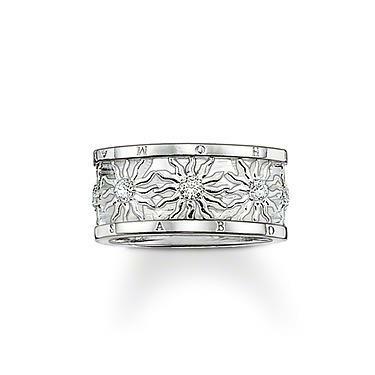 This fabulous design is crafted in 925 Sterling Silver with a band of detailed suns around the band, each adorned with a sparkling Cubic Zirconia at the centre. This intricate design is a lovely way to celebrate the summer and its classic silver look will complement every outfit.